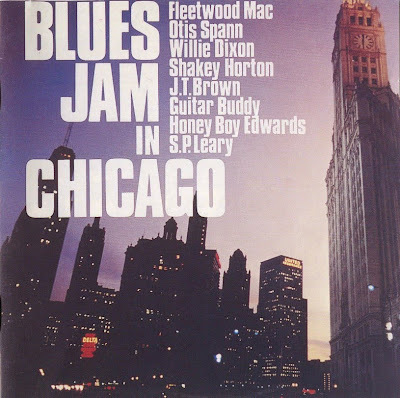 Blues Jam In Chicago Vols. 1 & 2 was the result of a recording session in early 1969, at Chess Records in Chicago (home to Muddy Waters, Howling Wolf, et al.) with Fleetwood Mac, then a British (electric) blues band, and some of their Chicago blues mentors. Fleetwood Mac: Jeremy Spencer (vocals, guitar, slide guitar); Danny Kirwan (vocals, guitar); Peter Green (vocals, guitar); John McVie (bass guitar); Mick Fleetwood (drums).